Identifying Your Target Market, First Things First. Home » Identifying Your Target Market, First Things First. —<<<====== Don’t Forget to Share, Like & Retweet. Identifying your target market is just as important to your home based business as having a list of family members and friends that you would like to invite to your wedding. You won’t just open the doors and let everybody in. Just think about it. It won’t be a wedding reception, it’ll be Mardi gras. Even though it might sound like fun, the truth is that your wedding will just be flooded with a bunch of people that don’t mean anything to you and your spouse. You’ll just have a bunch of wacky people running wild that are on no value to you. Yet this is something that most home business owners do. They just open the floodgates and let everybody in, hoping that somebody will see what they have to offer. They never put much or any thought into identifying who it is that want to attract, convert into a worm market contact and ultimately recruit into their business. So be absolutely sure to read this post on identifying your target market all the way through as this will be one of the Most Valuable pieces of content you will read for your business. First of all I have to give credit to two friends and mentors, who help me realize my errors and showed exactly how to fix my errors of the past. Thank You Diane Hochman and Ray Higdon, for your fine example of leadership, and your great training and mentorship that has helped me achieve my goals. You see I was one of those people who would just throw out a net, and scoop up anything that I could catch, for the longest time I would place ads anywhere that it could be seen and pray for the best. But here was the problem. Anytime that I would luck out and catch my little fish in that big ocean that we call the internet, most would just fall right through the holes of my net. Because that’s exactly what they were “Little Fish” and if they didn’t fall through I would still have to throw them back. In other words they were of no value, 99% of the time they were what we call; tire kickers. They were just looking around. They were not serious prospects at all. All in all it was just a waste of time and effort. I’ll never forget the day that my mentor Diane Hochman literally laughed at me in the middle of a training call, she asked me; Joe do you really get any leads from posting 3 or 4 times a week on 25 different groups in facebook? My answer to that question was; NO! And if I did get a lead it was just like I mentioned earlier, a suspect not a prospect. I did this for years. What a waste and this is why I am sharing this with you so that YOU don’t make the same mistake. identifying your target market, first things first. Because identifying your target market is one of the first things that any business owner has to do. And if you don’t you are guaranteed to either struggle with your business, as I did or fail all together as many other home business owners and network marketers have. What is Identifying your Target Market? ou will have to create ways to attract them to you, by offering things of value such as information, training and resources that they can use.Identifying your target market and what attracts them will take some thought, maybe even some role playing as you will have to put yourself in your ideal prospects shoes. What kind of work they do. Where do they work, how long have they worked. What are they looking for, would they be interested in what you have to offer? Why is it that they are looking for alternative solutions? How can what you have to offer help them? What is their current economic situation? What is it that they want out of life and how can you, product or service help them achieve it? And very importantly, how can you connect with these prospects, how can you relate with them and they with you? Building trust and even friendships. You also have to take a good look at yourself and the product or service that you offer as this also plays a major part of this whole picture. Remember you are part of this, if you’re a ballet dancer promoting tutus, Hulk Hogan and the World Wide Wrestling would not be a good target market. The conversation is not going to go very far. You want to have things in common, you don’t need to be a mind reader but you should be able to relate with, understand and have a good conversation therefore building rapport with your prospect. The bottom line is that you know you. I am absolutely sure that if you think about long enough there is a very large ideal target market that you know everything about. Take Action Now! Visit the links below and learn more Identifying Your Target Market and many more strategies that will show you how to sponsor 10 – 50 reps per month in any business. If you enjoyed this post please comment and share if you want more content like this..
Work With JosephDiego: Maximum MLM Profits Exposed ! And Receive The Exact Blue Print The World Leader In Home Business Training & Development Uses To Turn Struggling Network Marketers Into 6 & 7 Figure Earning Entrepreneurs, Learn More About One of the Worlds Greatest Online Home Business Ideas. PS: STOP Struggling with your Network Marketing Business! If you “DO NOT” Have a Step-By-Step Blueprint For Success, Click on the link below. Putting Pencil To Paper, It’s Amazing What Can Be Done With A Number 2 Pencil And A Dream. You are so right, this is the first thing that any business owner needs to do to become and STAY successful. We always laugh about it, but just imagine if you were out in the middle of a field up on a small riser like 10 other business owners. Let’s say that there were roughly 500 people that were “buyers” listening to you 10 business owners give your spill on your product or service. Maybe you were there selling meat packages, and come to find out it was a vegetarian convention. Think you would sell anything? While that is a far fetched example, it has the same meaning. Know your customers, your targets and what they are in need of. What will make their life easier, and do not to sell the what it is, who cares, sell what it DOES ! Great content, Joe. Even though we all know to reach out to our target market, most of us are guilty of *throwing darts at random* and hoping we hit a target. We have to strive everyday to hit our target, until it becomes second nature. We Hate SPAM just as much as you do. Your Privacy WILL be respected. Why People Fail In Network Marketing? 3 Reasons You Need To Know. The “Network Marketing Business Plan” Of a Six Figure Top Income Earner. 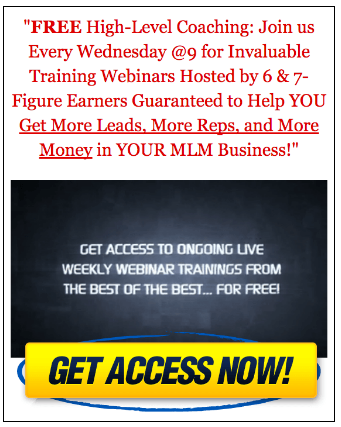 The Best MLM Leads Source- A Vital Key To A 6 & 7 Figure Income. 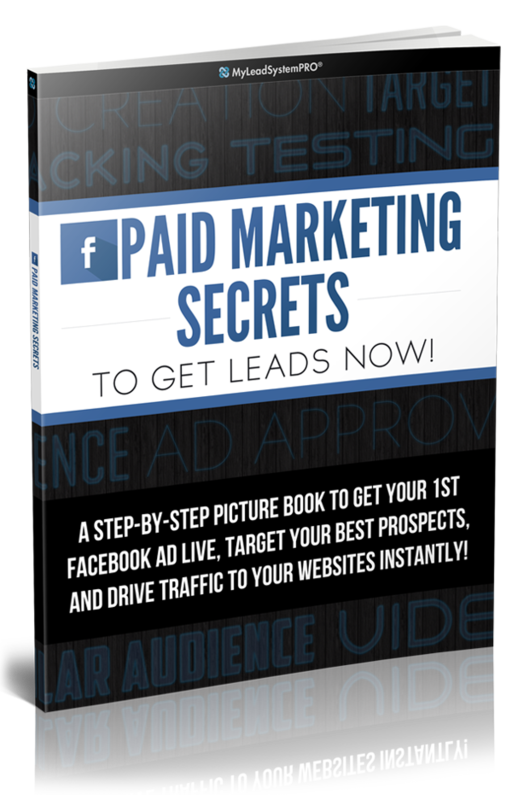 “Facebook Leads” How I Generated Over 150 Quality Leads In Less than 30 Days.